There have been numerous theories theorising about the psychology of a child. Among them, there has been one that states that the order of birth influences the personalities of children. This was formulated by Alfred Adler, one of the contemporaries of Freud. Though it has become an obscure, novelty science now, it has spawned a lot of research about the comparison between sibling personalities. 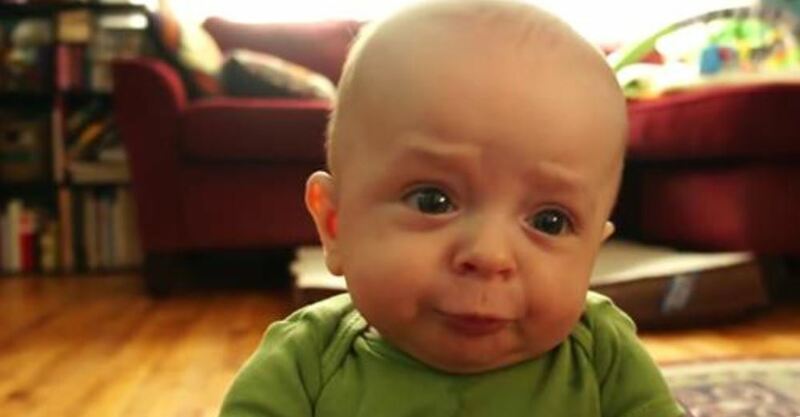 One of these studies has confirmed that the younger or the youngest sibling is the funniest. The research from YouGov found that the sense of humour was stronger in the younger of siblings than the older. This is because it is often the case that the older one grows up with a sense of responsibility. This reflects in his or her adopting a more serious facade over time, whereas the younger sibling is free to explore new avenues of humour. The study also revealed that the younger/youngest sibling tend to be more easy-going and relaxed compared to their older/elder counterparts. It was also concluded that [“ in 86 % of British families”] the split in two siblings brings out these contrasting traits in personalities. Think of Newt Scamander and his older brother Theseus Scamander and the difference should be clear to you. The other interesting factor that was unearthed in this study was that a larger percentage of older siblings thought of themselves as more responsible for themselves than their younger siblings. At the same time, the younger siblings declared in the test that they were more easy-going and relaxed in their attitude towards life in general. 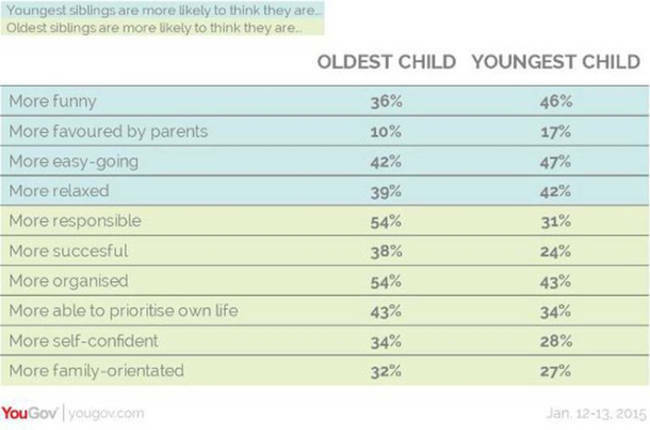 YouGov concluded that family factors are just as important when it comes to personality traits being shaped in siblings. In some cases, the mere age difference was enough to create a difference in personality. But in most, the case was far more intrinsic and family-driven.